Lancini Property and Development is an acclaimed and progressive group that excels at identifying, developing, constructing and managing high quality retail and commercial opportunities. 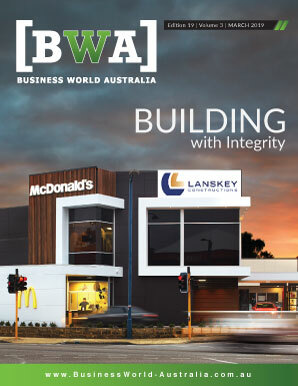 Established in 1981, and with offices in Townsville and Brisbane, the group has made its mark with outstanding projects across Queensland. They have become known for their exceptional ability to deliver a property need from concept to completion. Today, Lancini Property and Development covers all facets of the property industry – from retail shopping centres to commercial offices, homemaker and industrial properties. The company has developed an expert team that includes design, construction and development managers, accountants, property management professionals and long term support staff. Recently, that team came together to deliver a landmark development in the heart of Townsville’s CBD – City Arcade and City Lane. City Arcade and City Lane are the newest retail destinations in the heart of the city – together, they comprise a dynamic, mixed-use adjoining development that offers a modern-day-to-night mix of shopping, dining, retail services and office space. Anchored by Australia Post and Woolworths in December, the two precincts cater to city workers, residents, visitors and tourists alike. Often described as a “catalyst project,” City Arcade and City Lane are significant milestones in the rejuvenation of Townsville’s CBD. City Lane is Townsville’s first creative laneway precinct, located adjacent to City Arcade. It comprises a cosmopolitan dining and entertainment hub that features a handpicked selection of dining venues dotted amongst exposed brickwork from the original buildings, cobblestone paths, as well as a range of commissioned street art from internationally acclaimed and local artists. According to Rick, the ambitious project started with Managing Director Laurence Lancini, a Townsville local who wanted to give back to the city. He purchased a collection of sites in the CBD, which at the time were “quite run down and neglected,” and had long been deprived of foot traffic and activity. In order to capitalize on that potential, Lancini Property and Development conducted significant research into the local area. They found that there was a restaurant district on Palmer Street, and a night club precinct on Flinders Street East – but nothing in between. In order to create such a destination, Lancini Property and Development developed something extremely innovative for the area. They realised that their site fronted Flinders Street and backed on to Sturt Street, but there was no pedestrian thoroughfare linking the two streets together – so they created one. They cut a five metre laneway down the middle and called it “City Lane.” Then, instead of assigning the tenancies along the front street, they assigned them along the laneway. Rick had a good idea that the plan would work from his experience working and living overseas. In Manhattan and Brooklyn, for example, he says “all the cool bars are in the backs of laneways.” He believed the same could be true of Townsville. Since opening in June 2014, City Lane has become a vibrant gathering point popular with locals and visitors alike. Rick says that it has caught on as intended, as an alternative social hub for people to enjoy a meal and drinks without the expense of a fine dining restaurant or a trip to the nightclub strip. Today, the venues at City Lane cater for all budgets and ages, including families. Each of the operators within City Lane provide a mix of full sit down meals, quick tapas or snacks to accompany a beer, wine or cocktail. There is a shared outdoor space which allows for social interaction with friends and family, whilst allowing visitors to enjoy North Queensland’s outdoor climate. The unique shared outdoor space has hosted events such as the Asian Fusion Festival, Seafood Festival, Fashion Week, real estate auctions, salsa dance lessons, regular live music and more. These ticketed events and festivals generate increased sales, uplift for operators, and provides visitors with experiences unique to the community. According to Rick, that uniqueness is a significant factor behind City Lane’s success – there is simply no other venue in Townsville quite like it. To bolster that feeling, Lancini Group also engaged with the Perc Tucker Regional Gallery, and commissioned the work of a number of street artists. In particular, they hired the internationally-known Fintan Magee to complete a large mural in the back of one of the area’s buildings. Rick admits that he wasn’t sure what to make of it at first, but as soon as it was up people were coming from all over the city to take photos and selfies of it. Another critical element of the project’s success, Rick says, was the selection of unique and creative local operators. “And we really worked hard to sell the idea to our tenants,” adds Hanna Peard, Leasing Executive at the company. Hanna also joined the Lancini Group in 2013. Today, she is responsible for ensuring that the Lancini retail assets benefit from the optimum tenancy mix and are performing at their highest level. To do that at City Arcade and City Lane, she says she made sure that the company curated the tenant mix, and didn’t just try to fill vacancies for the sake of filling them. The result of that shared vision is an “authentic environment,” one that the developer, tenants and the customers all had a hand in creating. Moving forward, there is a lot more to come for City Arcade and City Lane, with Lancini Property and Development seeing the precinct becoming even more of a destination. Stage 2 of City Arcade is currently under construction. As an extension of the existing development, it will house a 3,800 square metre Woolworths and bring an additional 110 carparks to the city centre. On completion, the City Lane, City Arcade, and Woolworths developments will be fully connected, creating full pedestrian activity through the precinct. From there, a third stage is planned, which will incorporate a fresh food market, more hospitality tenants, and even a big outdoor lawn civil area that could potentially host public movie nights. It will also link seamlessly with City Lane and City Arcade. Hanna adds that City Lane and City Arcade will continue to evolve in line with the wants and needs of the market. That kind of adaptability is what sets Lancini Property and Development apart from many of their competitors. 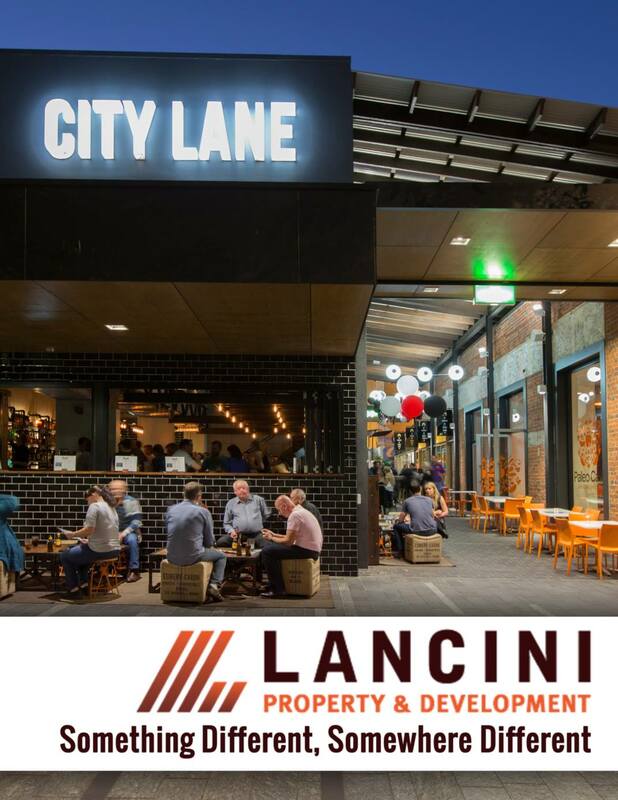 Motivated by the success of City Lane and City Arcade, Lancini Property and Development is also looking at other cities that could benefit from similar transformative precinct developments. “We’d love to do more projects like this,” Rick says.